AGT Systems is authorized supplier of advanced technologies for exploration industry. Specifically, AGT provides integrated systems, equipment and services in the fields of Geophysics, and the Geological, Geotechnical and Geochemical sciences, including land, airborne and marine systems. Geosoft Oasis montaj and Target software packages provide a wide range of capabilities for geophysical, geochemical and geological data processing and interpretation, including 2D and 3D modeling. 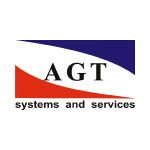 AGT Systems provides warranty services and technical support, training and post-warranty services on request.